Male clients can select minimal or maximum coverage by choosing between disposable boxers or briefs. Our disposable boxers are available in a small/medium size and are made of a lightweight, non-woven polyester fabric. One-size disposable briefs provide less coverage but also offer comfort. Both single-use boxers and briefs contribute to more ef.. Male clients can select minimal or maximum coverage by choosing between disposable boxers or briefs. 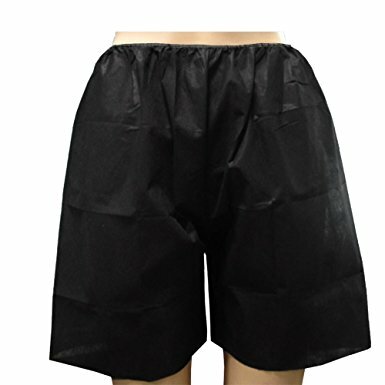 Our disposable boxers are available in a small/medium size and are made of a lightweight, non-woven polyester fabric. One-size disposable briefs provide less coverage but also offer comfort. Both single-use boxers and briefs contribute to more efficient and hygienic services. The men’s disposable underwear are simply thrown away to reduce laundering costs.